Record label imprint (trademark) used by Virgin Classics Limited. 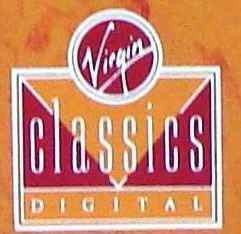 Please only use "Virgin Classics Digital" as a label when that specific imprint (as per image on profile) appears on a release. This separately registered trademark was first filed on the 15th February 1989. The legal registered rights owner of the imprint since 1989 until expiration in 2008 was Virgin Enterprises Ltd.